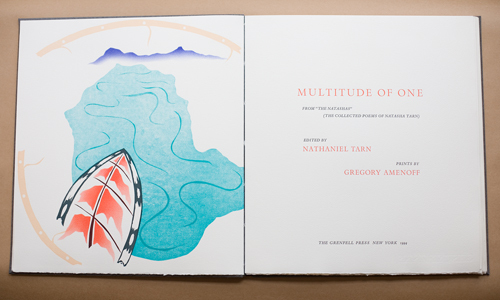 A limited edition book, edited by Nathaniel Tarn, with 11 prints (woodcut, linoleum cut, pochoir) by Amenoff accompanying Tarn’s poem. Printed on Hahnemuhle in an edition of 45. Hand–bound in full paper.